Traditionally styled Off-White Chasuble with multicolor Embroidered Chi Rho and Cross applique in full cut 60" wide and 52" long. 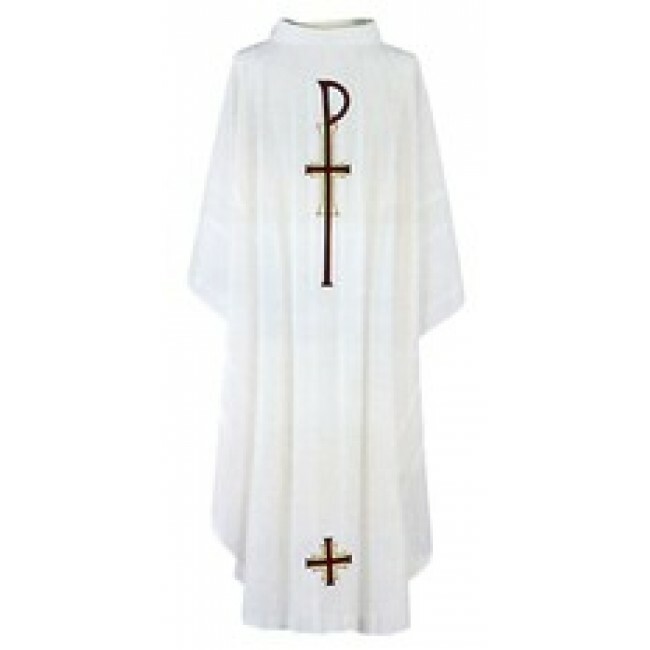 This beautiful chasuble is made of textured wrinkle resistant polyester. Self lined Stole included with Chasuble. Design is available on front only or same design on both sides. 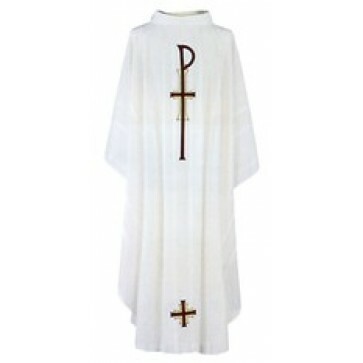 To add to a richer look, this chasuble comes with 3 ½" Roll Collar. Makes a beautiful gift.